Alexei Navalny, the main leader of Russia’s so-called “non-systemic” political opposition, may again become a convicted felon. If that happens, he'd lose the chance to compete in next year’s presidential race, when Vladimir Putin will likely seek a fourth term in office. This week, as Navalny endures a retrial of his 2013 embezzlement case in Kirov, his fate and the future of the opposition hang in the balance. And the wait for a verdict might not be long: the case has raced along at a breakneck speed. An anti-corruption crusader and campaigner, Navalny became one of the most prominent leaders of Russia’s anti-Kremlin political opposition during the winter protests in 2011 and 2012. In the years since, he has continued to be one of the country’s most visible critics of Vladimir Putin. In 2013, Navalny ran in the Moscow mayoral election, nearly forcing a runoff vote against key Kremlin ally and acting Moscow mayor Sergei Sobyanin. The Kremlin expected the mayoral race to be an easy, validating ride for the incumbent, but the election ended up as a fierce showdown between Navalny, a charismatic young man, and Sobyanin, a dull career bureaucrat. Despite Navalny’s ultimate defeat, his campaign remains of the Russian opposition’s greatest success stories in the Putin era. The campaign was overshadowed by the so-called “Kirovles case,” however, which happened simultaneously. In Kirov, a town 800 kilometers northeast of Moscow, Navalny was being tried for embezzling money from a local state-owned company. On July 18, 2013, still roughly six weeks before the vote in Moscow, Navalny was convicted and sentenced to five years in jail. As the judge announced the punishment, bailiffs grabbed Navalny and his co-defendant, Pyotr Ofitserov, and led them straight to jail. Later that day, back in Moscow, large crowds of Navalny supporters gathered in the center of the city, furious about the court’s decision. But the next morning, in an unprecedented ruling, the court overturned its own decision. 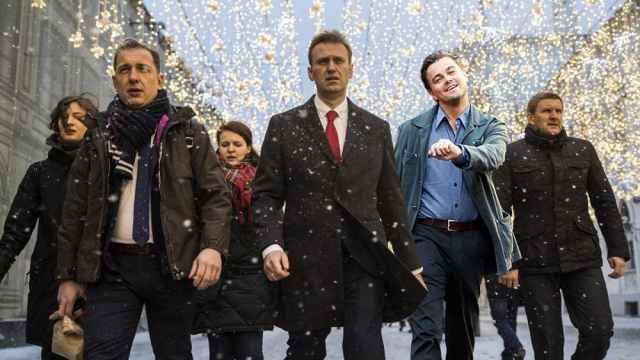 Navalny was suddenly freed and released on bail, enabling him to take part in the mayoral race. According to some rumors, Vladimir Putin had intervened directly with a phone call. Later that year, after the election, a Kirov court convicted Navalny and Ofitserov of fraud and sentenced them both to probation. This time, they weren’t thrown in jail, but Navalny lost his right to run for elected office, now a convicted felon. Then, three years later, the Russian Supreme Court overturned the ruling and sent the case back to Kirov’s courts for a retrial. 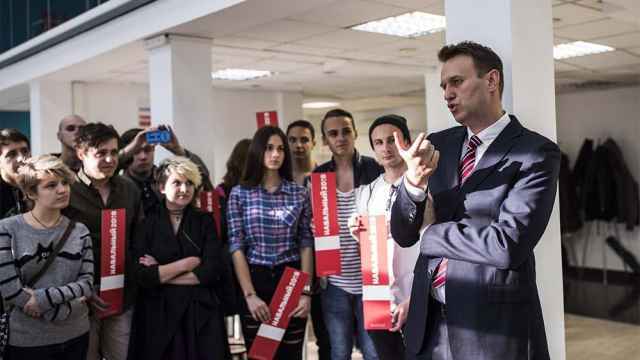 In late December 2016, Navalny took advantage of his new status as citizen without any felony convictions, and announced his intention to run for president in 2018. What is the Kirovles case? The case goes back to 2009 when Navalny served as an adviser to Kirov’s governor. Pyotr Ofitserov was a businessman and founder of a private intermediary company involved in buying and selling timber. They were both accused of organizing the theft of 10,000 cubic meters of timber from the state Kirovles company through Ofitserov’s firm. The accusation was that Kirovles was forced to sell its wood “cheaper than the market price” by Navalny — thus turning a normal business procedure into embezzlement. Navalny and Ofitserov insisted that the prices for buying Kirovles timber were in accordance with market prices and the sale was a standard business operation, nothing more. Nonetheless, they were convicted in October 2013. Three years later, the European Court of Human Rights found that Ofitserov’s company was simply running a normal business. On these grounds, the court ruled that Navalny and Ofitserov should be acquitted. Following this verdict, the Russian Supreme Court overturned the Kirov court ruling. The new hearings in Kirov started this January. The second trial much resembles the first one — it uses the same evidence, the same witnesses and the same position of the prosecution. Only, this time, it seems a lot more rushed. The court obliged me to stay at the Hilton until Feb. 10. Questions: a) Who’s going to pay for it? b) Can I use the mini-bar? Navalny's team has livestreamed the entire case on social media. At one point, the activist asked the judge if he could pose for a selfie with him. 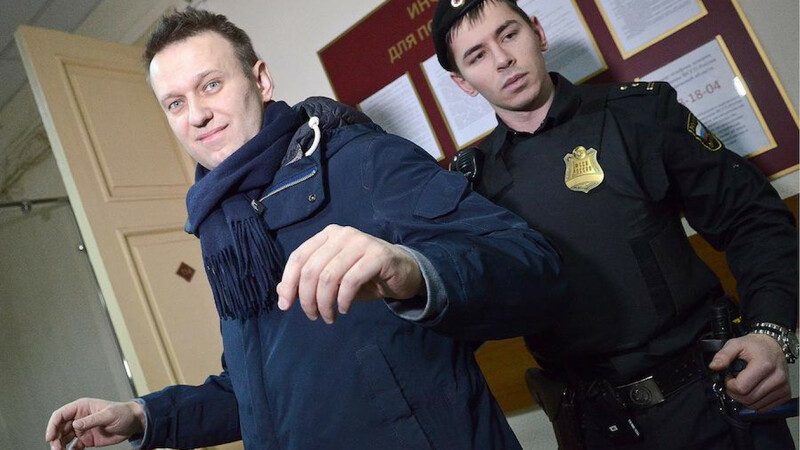 The latter refused, but Navalny nonetheless posted a selfie from the courtroom on his Instagram. Лучшая фотография с сегодняшнего заседания в процессе "Кировлес-2". Атмосферная. Why Navalny and Ofitserov insist the case is politically motivated? Navalny alleges that the Kirovles case is fabricated in order to keep him out of Russian politics. He has described the re-trial as a “copy” of the 2013 case, and he is certain that he will be found guilty once again in order to prohibit him from running for the Russian presidency. Ofitserov has said that “Kirovles Season Two” looks just like the 2013 version. Both draw attention to the fact that, just a few days before the new trial began, the judge changed the schedule of hearings. This made the whole process rushed. The lawyers, who informed the judge they could not participate on these dates because of other trials, were told that these other trials (some in Moscow) were suddenly postponed. Both stress that the scenario of the trial is exactly the same as the last one. “Last time, and this time, we said one thing from the first day: let’s look at the selling rates of Kirovles and then we can confirm that Ofitserov bought his [timber] at an average price,” Navalny wrote on Feb. 2. The judge refused to ask Kirovles for this information. “The rest of the process just lost its point. This is now simply a formality to make it look like we have an independent court. The verdict will be guilty,” concluded Navalny. The verdict will likely be announced in a few days. If Navalny is convicted, he will once again be banned from taking part in the presidential election. It is widely assumed that Vladimir Putin will be running for another term in the election, planned for March 2018. If Putin wins (which no one doubts) he will stay in the Kremlin for another six years. It is widely believed that Putin’s political managers are now debating two options. The first is to let Navalny run. This would make next year’s election somewhat exciting, since Navalny’s base will support him and go vote. Given social apathy and the historically low turnout in last fall’s parliamentary election, the Kremlin is worried that weak turnout during the presidential race will affect Putin’s legitimacy in the public eye. Having Navalny as an opponent would give the vote an element of intrigue always lacking in Russia’s predictable elections. The second option is to not let him run, assuming it would give Navalny a platform to address the nation and put political stability and Putin’s ratings at risk. One need only remember Navalny’s unexpected success in Moscow’s 2013 mayoral race to understand the government’s concerns. 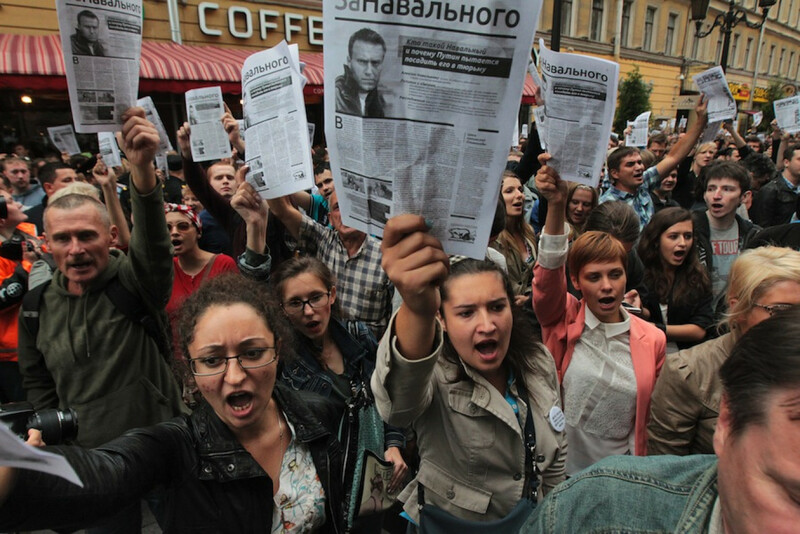 The impending court decision may well give us an answer to the Kremlin’s dilemma.